2011 Chevrolet Camaro SS Convertible is not an ordinary sports car; it has been designed especially to serve a certified sports car of 2011 Indianapolis 500. Vice President of Chevrolet marketing, Chris Perry said “It’s an honor for Chevrolet to pace the 100th anniversary of the Indianapolis 500, especially during this landmark year. 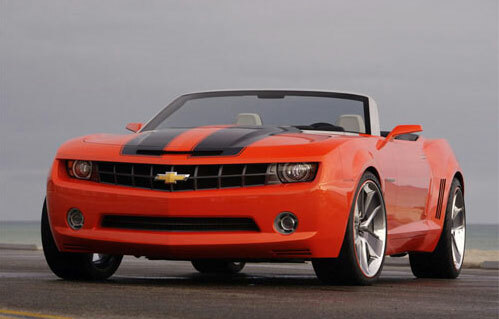 Chevrolet has claimed that Performance wise 2011 Chevrolet Camaro Convertible is superior to other supercars. It is equipped with 6.2L V8 engine which produces 426 hp and 420lb-ft of torque whereas the one with 6 speed automatic transmission yields 400 hp. 2011 Chevrolet Camaro Convertible is best for racing occasions because it has performance oriented suspension along with ready for action mode. 2011 Camaro Convertible offers a fantastic experience because it features heat-treated aluminum tower-to-tower brace, Chevrolet tried to enhance firmness and exhilaration to offer superb experience of driving a sports car which no one offered before. 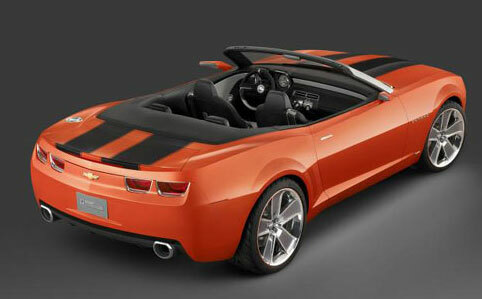 Design of 2011 Camaro Convertible is classic, the elongated hood and small back deck provides an iconic appearance. 2011 Camaro Convertible features stunning interior and all the safety features like driver and passenger air bags, OnStar Automatic Crash Response, OnStar Emergency Services, OnStar Crisis Assist, OnStar Stolen Vehicle Assistance and much more which rank it among the safest sports car. Passenger seats and mirrors are power controlled; Camaro Convertible is equipped with all the features which make it safest as well as comfortable car. Active Fuel management System of 2011 Camaro Convertible makes it a fuel efficient car and presents mpg value of 24 on the highway and 16 in the city. Capacity of fuel tank of 2011 Camaro SS Convertible is 19 gallons.